The app is called Duet Display, and it turns your iPad or iPad Pro into a touch screen-capable additional monitor for your Mac. You only need to connect your iPad and Mac using the Lighting connector and run the app, and voila!, your iPad is an additional and powerful screen for the Mac. With Duet Display, you can interact with any application on your Mac that is displayed on your iPad by touching instead of using your mouse. 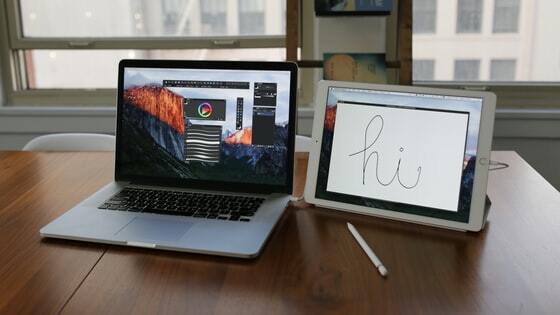 And if you have an iPad Pro, you can even use the Apple Pencil to turn your iPad into a pressure-sensitive Wacom-like tablet and draw directly in Photoshop, Canvas, Illustrator, or any other graphics application. 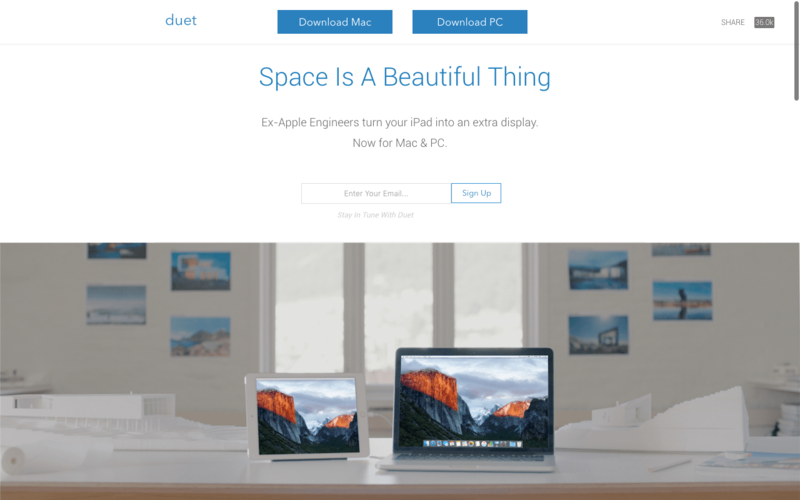 Duet Display is just $19.95, and works well with any iPad running iOS 7 or above and any Mac running OS X 10.9 (Mavericks) or above, and now, even Windows 7 or above. Available on the App Store. This entry was posted in Show & Tell and tagged Duet, Duet Display, graphics tablet, iPad, Mac, tablet, touch screen, Windows. Bookmark the permalink.